The Dare 2b Womens Convoy Jacket is a stylish ultra-lightweight technical jacket with stretch that offers a fantastic level of waterproofness and breathability making it ideal for keeping you comfortable and protected while enjoying vigorous outdoor activities. The Convoy Jacket is waterproof to 10000 HH, has a water repellent finish and taped seams to offer you an incredible level of protection from the rain while this jacket is also comfortable and breathable. 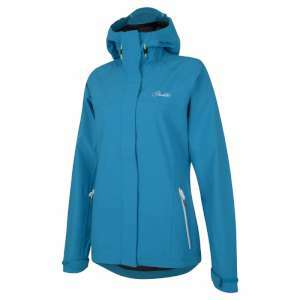 The light weightiness combined with the stretch nature of this jacket and the articulated sleeve design allows for a fantastic level of freedom of movement making this a great jacket for any lady that enjoys their outdoor activities!